During Deployment, Focus on You! When your military spouse is deployed and the responsibility for everything at home falls solely on you, it's hard to imagine adding a new activity to your "to do list". But, as many spouses have learned, taking on the right, new activity could be exactly what you need to manage the stress. Why not marry up self-improvement with something old, something new, something borrowed or something not-so-blue? Old habits are hard to break ... except during deployment. 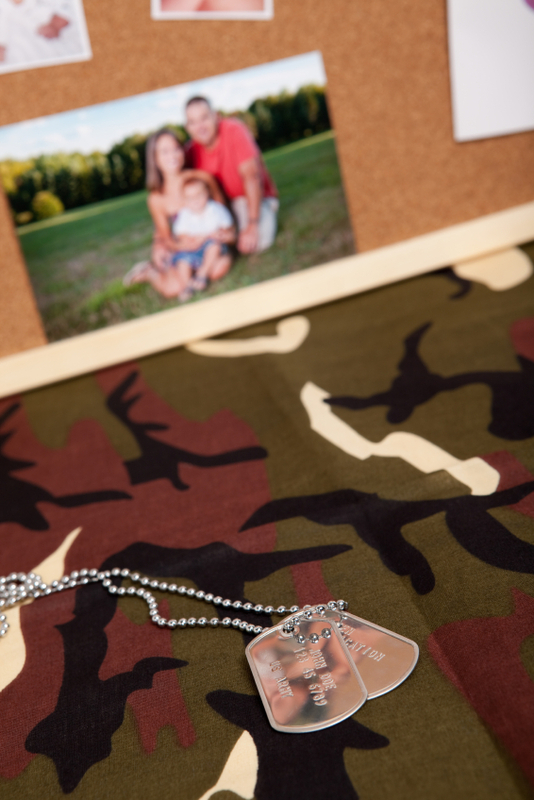 Many spouses who have succeeded in forming healthy habits, like exercise, find it hard to hold on to them during deployment. Although exercise actually helps your energy level, finding the energy and time to do it can be very challenging. "I'm a big fan of exercise of any kind. It is the one thing I do for me," said Katie Laing, a Navy wife and former sailor. "It might seem selfish but I always stressed to the boys that it was what made me happy and then helped me be a better mom," she said. "However, this was a huge challenge for me this past summer." Laing, whose boys are too old for the child development center and too young to run with her, realized that her regular fitness routine went by the wayside and her mental health suffered during her hubby's deployment. Her advice? "Make sure all your bases are covered before you say goodbye. This past summer was truly poor planning on my part and not sticking to my guns and keeping fitness important to me," she said. Army spouse Judy Davis found the perfect way to deal with stress during her husband's first deployment. She focused her energy on self improvement by earning a new degree, one that was very different from her degree in mathematics. "I did something completely out of character and got an additional degree in aromatherapy," she said. While most people might think it stressful to learn something completely new, the key for Davis was picking something that has multiple benefits, especially once her new skills were added to her deployment toolbox. "It kept my mind busy while letting me be creative and learn a new skill ... not to mention I got to mix "potions" and share with my battle buddies as we tackled stress relief, anxiety, headaches, minor ailments and so much more." If you don't have children or a family nearby, borrow them by volunteering for family-oriented causes or creating a 'second' family with fellow volunteers. "Instead of being stuck in my house alone, I got out into the community and onto a schedule. Volunteering at the USO gave me somewhere to call home for holidays, " said Air Force spouse Katie Slawski. "It was a huge help in keeping a positive attitude while staying social and turning my husband's deployment into something positive." And, with the right focus on what skills you bring to the table or want to get from the experience, your volunteer work could translate into accomplishments worthy of being mentioned on your resume. Everyone can use little fun in their life. Schedule some time to make sure you get it in. Arrange a family or girlfriend night to watch comedies. Surprise the kids with water balloons, silly string, whipped cream or pillow fights. Visit the beach, pool, skating rink and just let loose. Deployment can seem like a depressing and sad time, but taking care of yourself, and making an effort to grow professionally, academically, spiritually or emotionally will make all the difference in the world.